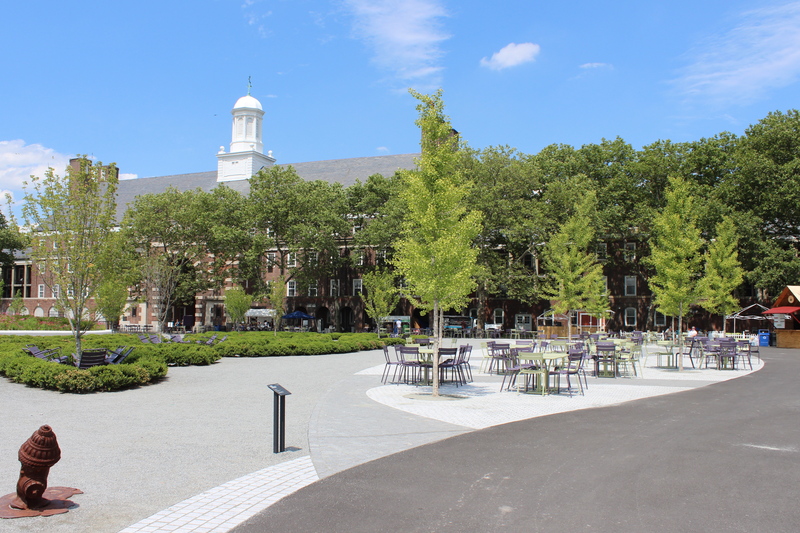 This summer I am doing my internship on Governors Island, a hidden gem off the southern tip of Manhattan. This internship is a collaboration between the National Park Service and GSAPP. Ownership of Governors Island has changed hands over the years with its period of significance, defined by the National Register of Historic Places, spanning 1794-1966. The U.S. Army occupied the island during this time period, building two forts, numerous officers’ quarters, barracks, hospitals, churches, and a McKim, Mead, and White building that was the largest U.S. military structure until the construction of the Pentagon. In 1966, the U.S. Army left, and the U.S. Coast Guard assumed control of the island. 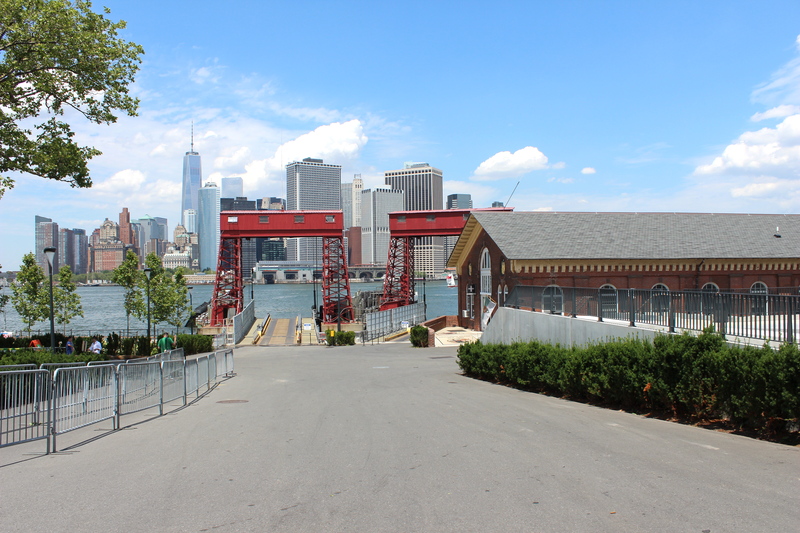 Governors Island was not open to the public until 2003 when ownership of the island was transferred from the U.S. Coast Guard to two parties: the National Park Service (22 acres) and The Trust for Governors Island (150 acres). 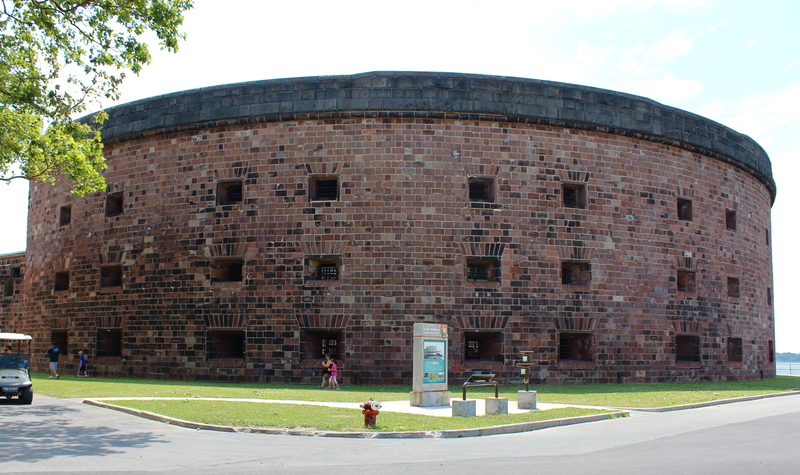 In the past 11 years, the NPS has done a fabulous job of managing and interpreting many of the historic resources on the island, especially its two forts: Castle Williams and Fort Jay. Of course, there is always more to learn about the structures, which is where my internship comes into play. I am researching historic limewashes and whitewashes that may have been used on the forts. 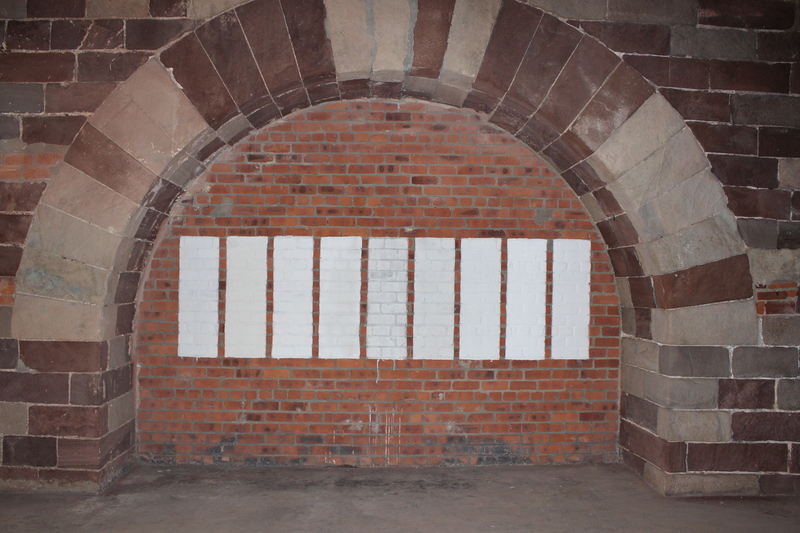 There are references to the interior of Castle Williams being whitewashed in the latter part of the 19th century, so I am testing a number of historic whitewash recipes and current products on interior walls in the fort. Because my internship ends in August, I will not be able to evaluate the test patches long-term. However, I will develop criteria for the National Park Service to monitor the durability over the coming years. Castle Williams is made up of New Jersey brownstone that is constantly deteriorating. If one of the test materials is determined to be durable and beneficial to the sandstone over time, the National Park Service may want to consider restoring an area of “whitewash” in order to demonstrate historic conditions. 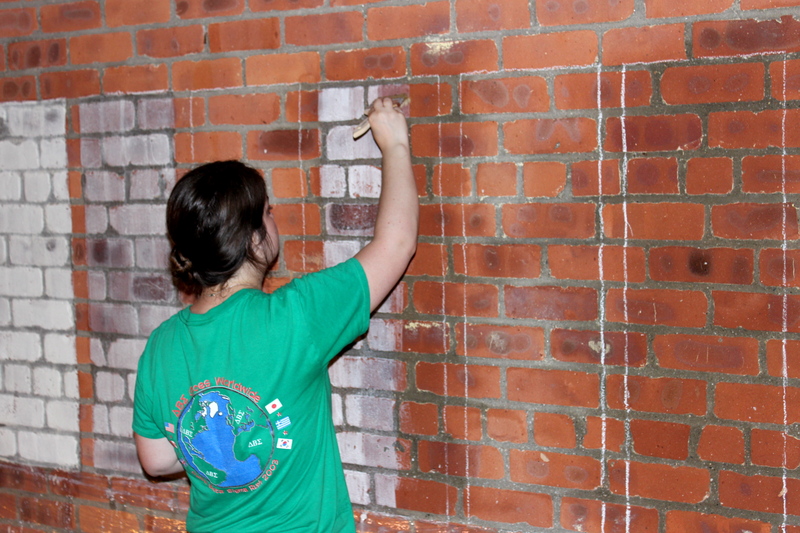 While limewash research and testing is the major focus of my internship, I have been able to participate in other conservation projects throughout the summer as well. 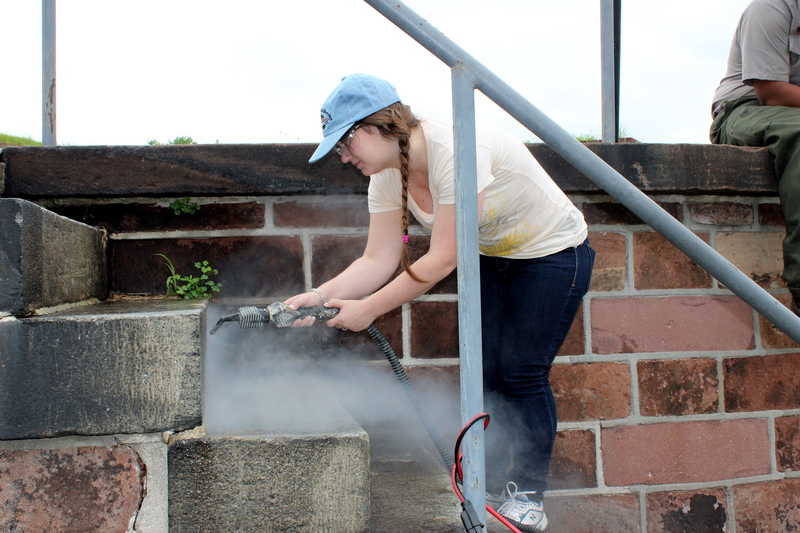 Unfortunately, one weekend, part of Fort Jay was graffitied, so I helped to clean it with solvents and powerwashing. I’ve also attended a training on stone consolidation and repair, and I believe I will be able to help apply biocides to a statue on Fort Jay later in the summer. In addition to hands-on experience, I have been able to meet so many helpful people in the preservation and conservation world, both within the NPS and outside. I’ve reached out to many people for suggestions and help with my projects and have had the privilege of talking with many knowledgeable, talented, and kind people. I highly recommend visiting Governors Island before it closes for the summer on September 28. 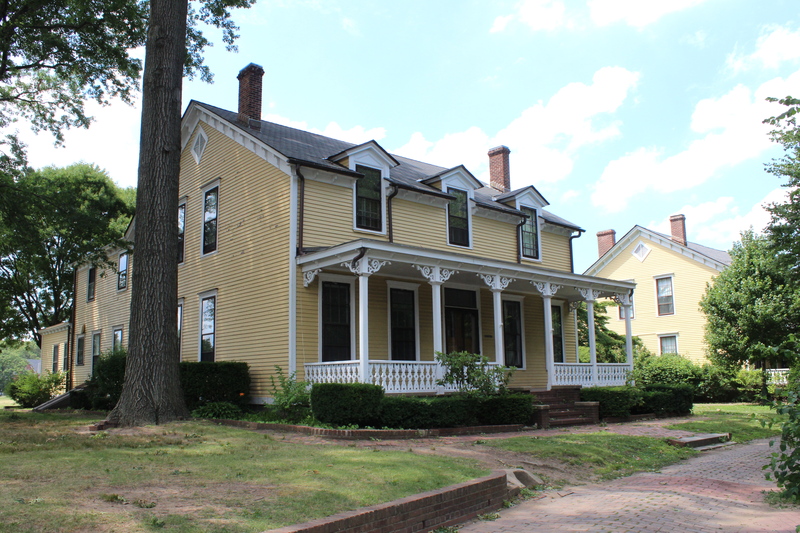 There are always exciting events on the island such as Artillery Thursday wherein the NPS shoots a historic cannon, the Jazz Age Lawn Party, concerts, art installations, tours of Fort Jay and Castle Williams, and a Surprise House (What’s that you ask? Well, you’ll just have to come to the island and see for yourself!). 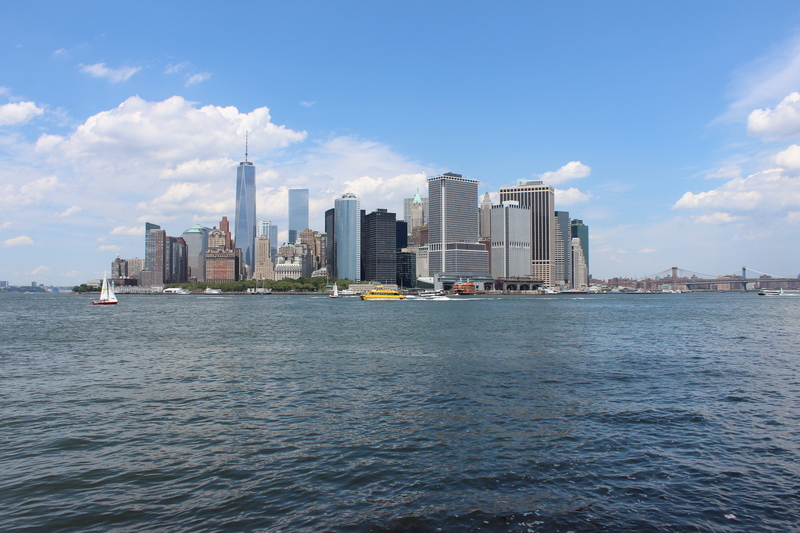 Or you can come just to get away from the hustle and bustle of Manhattan, rent a bike, and enjoy the fantastic views! Governors Island is a special place with an interesting history, and I am very lucky to be spending my summer here.